The cobia didn’t upset in the Northern Gulf! As a matter of fact, the cobia season ended with a bang. Captain Bob Atwell aboard the Blanchita swept the Boshamps Destin Flathead Classic Tournament taking first place with a fish weighing in at a whopping 96.6 pounds. On the rod for this behemoth, was lady angler Dee Dee Phillips. Atwell’s team also took first place aggregate with their big three fish totaling 228 pounds— that’s a 76 pound average! What a nice grade of fish! Instigator came in second with a 90.4 pounder and Sure Lure took third with an 88.2 pound cobia. All told, there were 137 fish weighed, with nine going over 80. Your fish had to be 40 pounds to even get weighed! The first marlin tournament of the year proved to be a nice grade also. To win the Orange Beach Blue Marlin Classic, first place boat Share-E hung a 651.2 pound blue marlin. The Breathe Easy finished a close second with a respectable 574-pound blue. If these two fish were not impressive enough, a 771-pounder was disqualified for returning too late to the docks. Nice big fish! A week later was the Mobile Big Game Fishing Tournament out of Orange Beach. The Memorial Day tournament resulted in quite a few more fish that were of good grade. 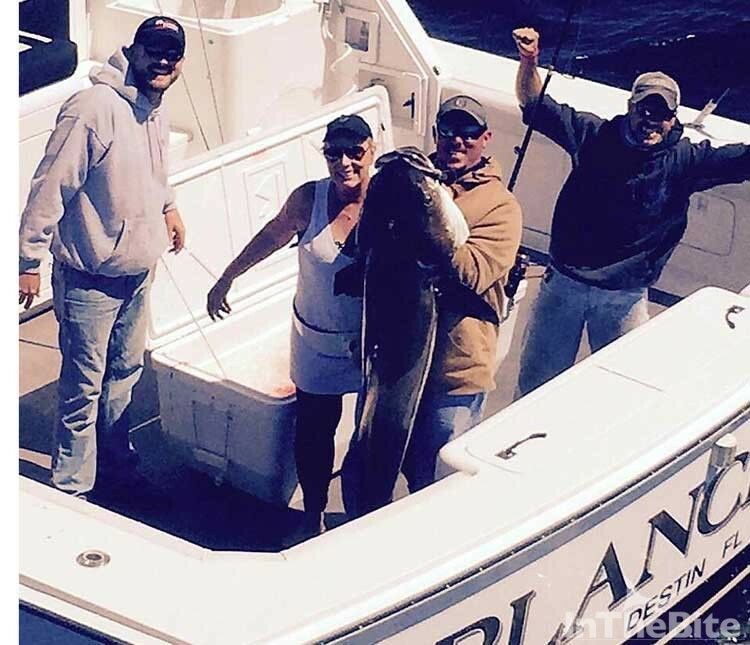 Top boat Quick Time caught first place fish with a broad shouldered blue of 806-pounds. The You Never Know boated a 647-pound bluefin to take tops in the tuna division. The biggest yellowfin tuna was an impressive 201-pound cow caught aboard the Triple Threat. The brutish results carried over into the wahoo and dolphin categories as well. The winning fish in these divisions were 99.2-pound ‘hoo caught aboard the Dogger and a 47.2-pound dolphin was caught aboard the FM. Now that’s a grade of fish that’s sure to make you smile, especially in the cash awards department!